Expanding understanding of early human lung development is a critical step toward promoting proper lung formation in preterm infants. A team of investigators at Pacific Northwest National Laboratory (PNNL) will perform an unprecedented, systematic study, mapping the molecular components of normal lung development during late term and early childhood. They recently were awarded $4.5 million over 5 years by the National Heart Lung and Blood Institute (NHLBI) to develop a molecular atlas of the developing human lung (LungMAP). Why It Matters. Lung development from ~4 months before birth through ~24 months post-birth is crucial to the lifelong health of an individual and remains the critical factor in newborn viability. However, little is known of human lung development at this critical period. Thus, expanding understanding of early human lung development is a critical step toward promoting proper lung formation in preterm infants. 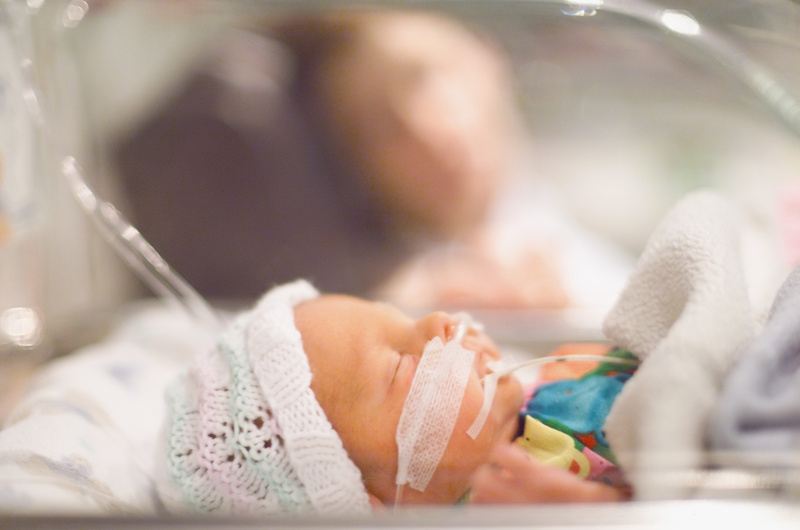 This has significant implications toward reducing the high mortality rate in prematurely born infants in the United States. The multi-investigator PNNL LungMAP project is led by PNNL scientists Dr. Charles Ansong and Dr. Richard Corley and former PNNL scientist Dr. James Carson, now at Texas Advanced Computing Center. They will generate high-quality data using cutting-edge technologies for linking molecular information-including genes, proteins, lipids, and metabolites-to locations in the developing lung, as well as to specific cell types. Mass spectrometry imaging showing spatial localization of lipids in lung tissue. Cell-type specific multi-omic profiling done at PNNL and EMSL will complement spatial imaging in research to better understand lung formation in preterm infants. Enlarge Image. The project leverages several PNNL signature strengths, in mass spectrometry-based imaging, proteomics, metabolomics and lipidomics technologies, image analysis and registration, organ/cellular atlas development, and multi-scale computational modeling. A portion of the work will be done at EMSL, a Department of Energy national user facility located at PNNL. "It's an honor to be part of this consortium, which is important to NHLBI and will be highly visible," said Corley. "Our involvement connects PNNL to some of the leading pulmonary developmental biologists in the field, which is also a significant honor." The results of this new initiative will create the first spatial-temporal molecular atlas of the mammalian lung during alveologenesis-the ultimate phase of lung development. "Through our research over the next 5 years, we hope to fill the current knowledge gaps in lung development and set the foundation for answering a new generation of hypotheses in the context of prenatal and early childhood lung development," said Ansong. Co-investigators and collaborators on the project include Dr. Cecilia Ljungberg (Baylor College of Medicine); Drs. Charles Frevert and Sina Gharib (University of Washington); and Drs. Julia Laskin, Richard Smith, Thomas Metz, Aaron Wright, and Wei-Jun Qian (all PNNL). About LungMAP: LungMAP is a national consortium of four Research Centers including PNNL, Cincinnati Children's Hospital Medical Center, University of Alabama at Birmingham, Children's Hospital Los Angeles, a Data Coordination Center at Duke University, and a Human Tissue Core at University of Rochester, all working to produce information on human lung development that can be openly accessed and shared by the research community and the public.